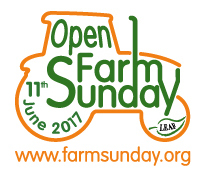 Our family have been involved with Open Farm Sunday nearly from conception, with events ranging from a few hundred to several thousand. But every year it gives us a different experience and the excitement of the visitors certainly makes it all worthwhile. Having packed up our machinery and livestock and moved 400 miles, north from Oxfordshire, this year will be our third event here in Scotland, so we are all hoping for a nice sunny day on 11th June! I’m convinced more people would buy home-grown produce if they could visit their local farm and see where their food comes from, and Open Farm Sunday is the perfect opportunity. 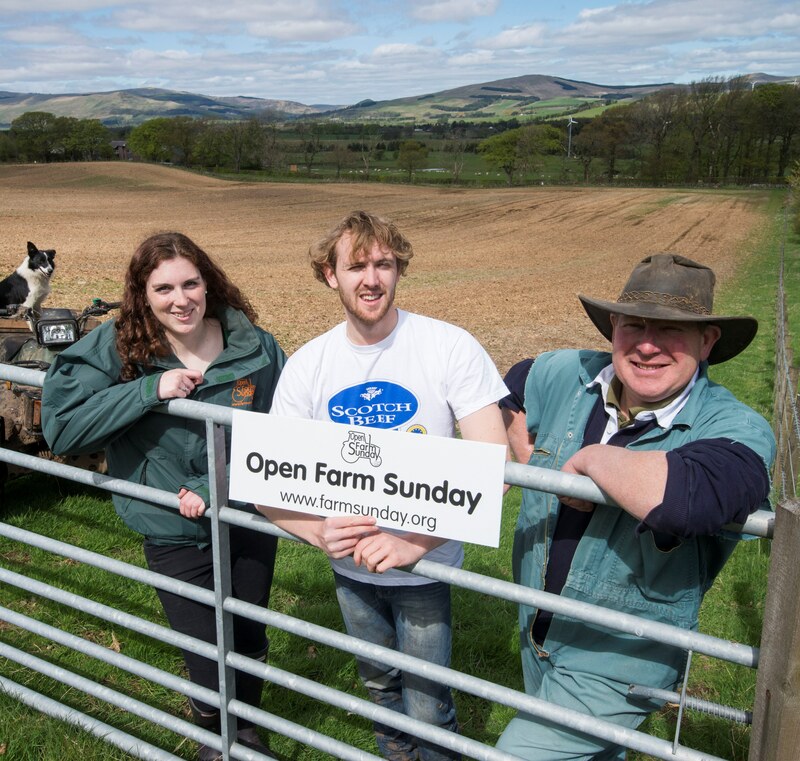 Opening your gates for Open Farm Sunday is great for any size farm – you can plan your event to fit around you and your farm. Fear not, help and support is always on hand. 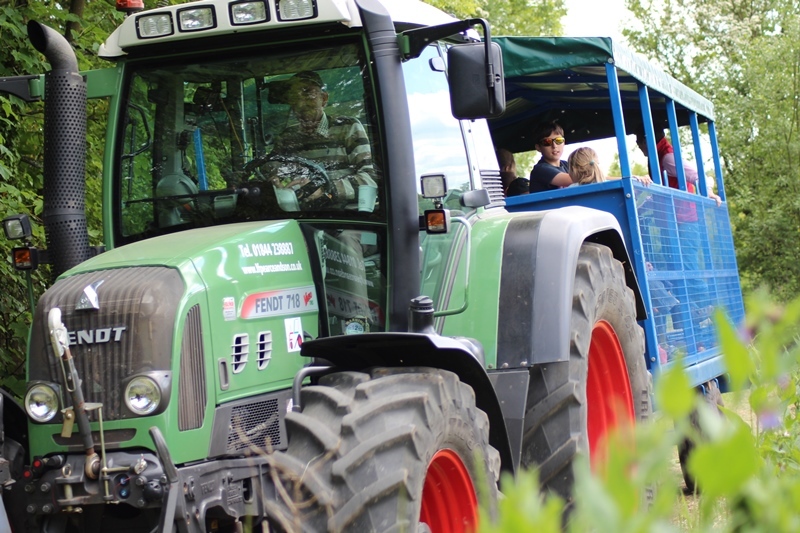 Apart from the brilliant resources you can order from the LEAF Open Farm Sunday website there are many local groups, organisations and clubs that are pleased to come and give you a hand, this spreads the workload making holding such an event less daunting. We involve the local Scottish Young Farmers Club who help with the car parking. We are also lucky in having a Kinross Local Event organisation who take over the responsibility of teas and coffee – in your area a Women’s Institute or local Scouts/Guides group or similar, will I am sure help. This then leaves you to concentrate on the farming element. Think of all the jobs you do in a day or week and although you may not think they come under the category of fun or interesting, you will be amazed to see the positive reaction from visitors. For the public, who have never seen sheep being weighed through a handling system, tags put in ears or even feet being trimmed, this is a whole new world and gives a fascinating insight into farming. Sheep/Wool – This is the main enterprise on our farm, a lo cal lad comes in and shears some sheep and another farmer gives a running commentary explaining the process and getting the visitors involved in touching the fleece/wool and interacting with a board where people write up anything made from wool – you will be amazed at the suggestions! People can watch spinning and weaving enthusiasts take the fleece and convert it into something in front of their eyes. Arable or Grassland – Nothing is nicer on a dry day than going for a walk around a field, or if your farm does not have arable crops, perhaps ask your local corn merchant to set up a stand with samples of different crops; he can then explain what it is used for, from animal feeds to our everyday breakfast products. Run a simple competition to guess how many acres of corn converts into a certain number of packs of breakfast cereal – the host farmer handbook has some mini-field statistics for you to use. People love a challenge and a local supermarket might give a voucher or hamper as a prize. Woodland/Environment – Arrange a small walk or tour; either put up information posters at significant points or ask a few experts to give talks about what visitors can see or take groups around. Horticulture – Whether it is fruit and vegetables or growing herbs and plants there is always a story to tell. The star of the day is you! People just want to talk to a farmer or grower, sometimes ask questions and find out a little more of what goes on behind those closed gates. So, if your farm has all or some of the above and attracts a couple of hundred visitors, or maybe you have a polytunnel growing herbs which appeals to twenty people, just remember, your visitors will have a smile on their faces – just like you. Safety will no doubt be the number one topic on your list to sort. Just take a walk on the same route visitors will go, take a family friend with you, two eyes are better than one, it is not as frightening as you may have first thought. 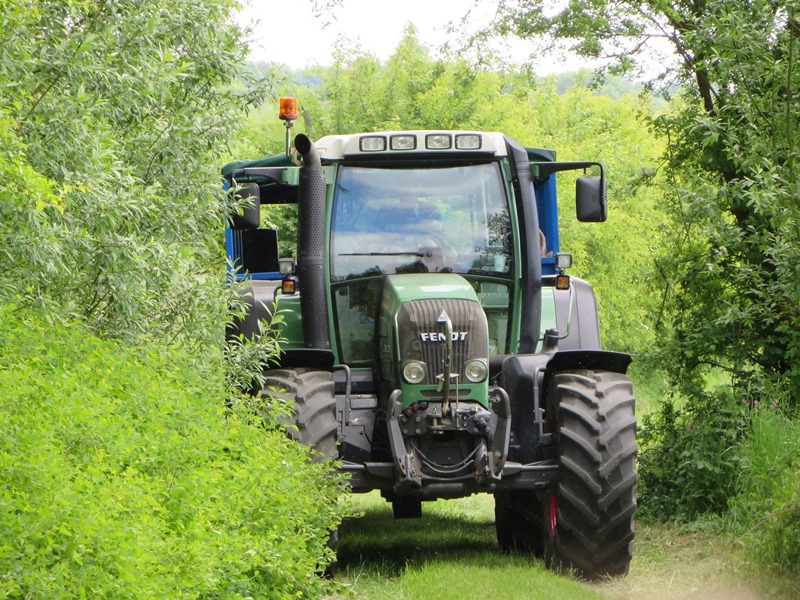 Make sure all machinery you don’t want visitors to see is parked in barns or away from public access. This also applies to those odd rolls of barbed wire or equipment that potentially might cause an accident or someone could harm themselves. Lock any shed you do not want the public to access, a cheap padlock is all it takes to make the area out of bounds. It’s all common sense and the Host Farmer Handbook has lots of information and a template risk assessment form you can use. I arrived at High Meadow Farm, nestled in a beautiful valley just a stones through from Ludlow in Shropshire, full of anticipation and not really knowing what to expect. Nick greeted me with warmth and humour and we immediately set off for a tour of the farm. From the yard I could see a majority of the farm down in the valley bordered by a wooded valley side opposite. A spectacular landscape leaving me excited by the challenges that lay ahead. I got to work straight away cleaning plastic wrap and feed bags from the cattle yard, checking hedges and cleaning an old shed which was to be used as my rest room. 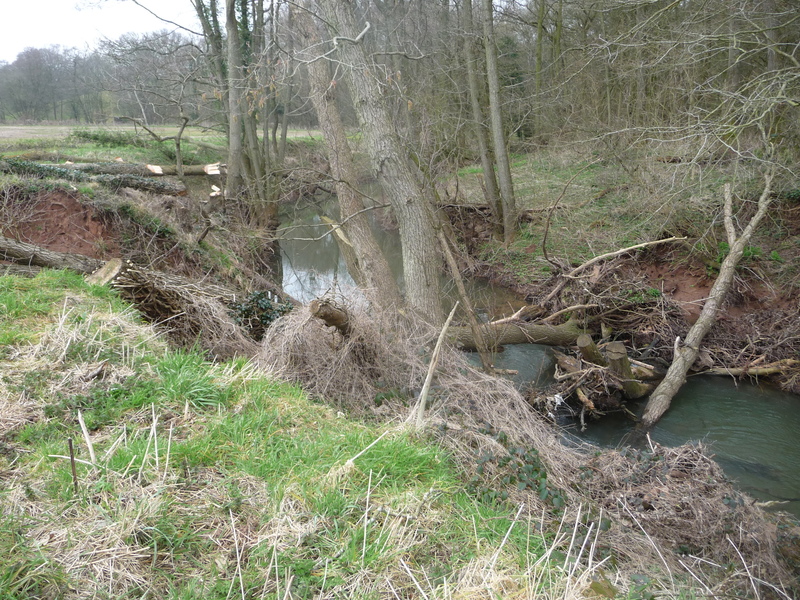 The majority of my week with Nick was divided between the Ledwyche Brook – a steep sided tributary of the River Teme which was constantly carving its own sandy banks or in the valley below the farm. 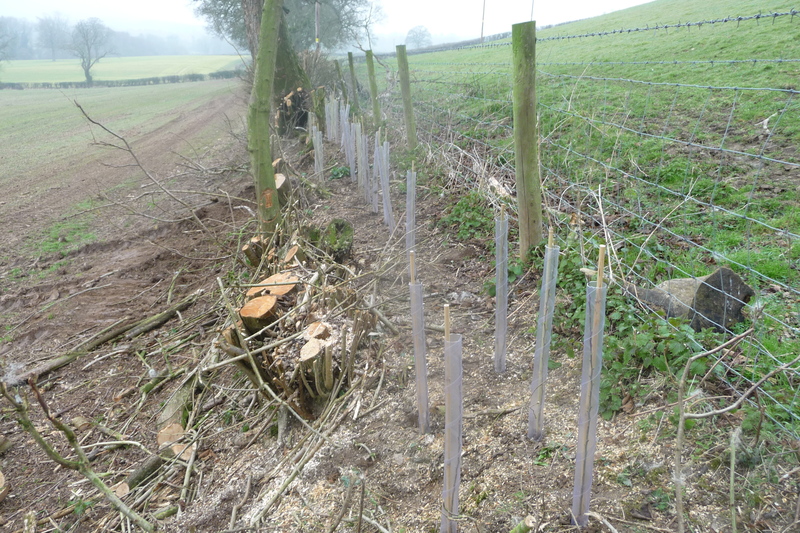 Tasks included clearing the brush from 60 bankside trees which Nick had chainsawed and from a log jam in the Brook and putting in 400 fence posts around newly planted fruit trees (a project Nick had initiated to reinstate a historic orchard). All hard, physical non-stop work, which was hugely rewarding and it was great to see I was making a real contribution. 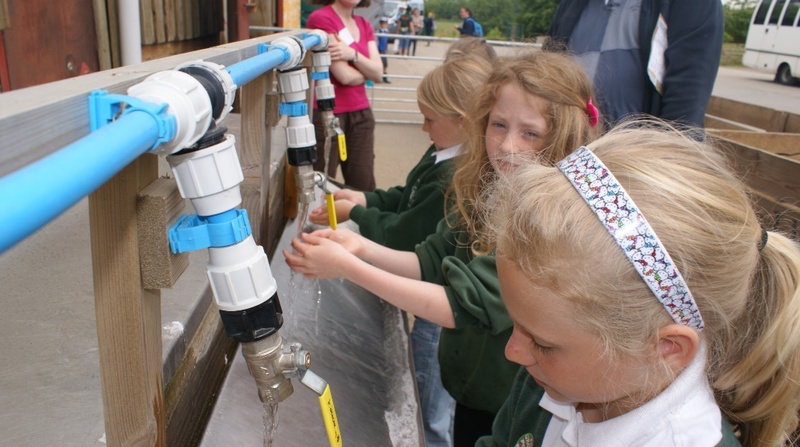 The work was hugely varied with a trip on the sprayer, filling and washing the old cans in the induction hopper, a meeting with the local water company to apply for a grant, a trip to buy some oak trees to screen the new chicken sheds, and homework each night with the Ranger magazine report on implications of Brexit for egg producers. Nick had instigated a new business for 38,000 free range chickens and work was all go with daily deliveries, problems to solve and site checks to get the buildings complete before the chicks arrived. There was never a dull moment but there was enough time to appreciate my wonderful surroundings and the effort being put in by Nick and his family to run a profitable farm using the principles of LEAF’s Integrated Farm Management. Each night I went to bed tired from the activities of the day but with a huge sense of satisfaction in what I had contributed to. The most memorable moments came when I was asked to replant and replace the tree guards of several 100 meters of black thorn whips. The weather was warm and as I worked the valley was a riot of noisy field fares, robins and wrens singing as they combed the fields for dropped seeds or hopped through the hedgerows of this ancient landscape. But even more satisfying was the group effort of escorting a cow from the barn to the crush. While I held up her tail, Nick and his farm worker dealt with her ingrown toe and foot ulcer. She kicked and grunted but afterwards trotted back to the barn clearly a much happier cow. I left High Meadow Farm (and Shropshire) reluctantly. Farming seems an ideal lifestyle but requiring considerable energy and constant movement mixed with considerable worry. The activities had been worthwhile and satisfying and the tremendous effort being made to maintain the environment for the future was clear to see. Reflecting on my experience now that I am back in my Environment Agency role, I certainly have a renewed respect for farmers who are true multi-taskers but I also now know a bit more about what we as an organisation can expect from these custodians of the land. Coming soon! 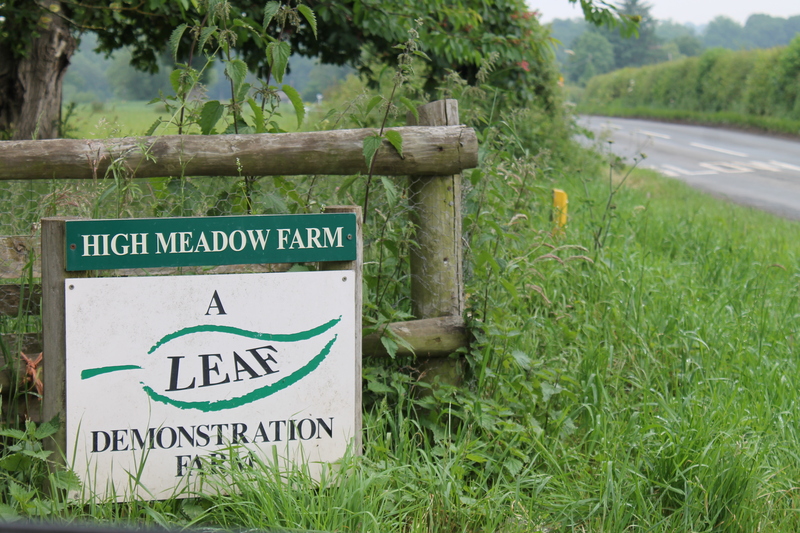 LEAF Demonstration Farmer, Philip Huxtable from JSR Farms Ltd, will be writing a blog about his experience of the EA Agriculture Placement Scheme from a farmer’s perspective. There has certainly been progress since I started my lose 25lbs for LEAF’s 25th anniversary, as part of the promotion of healthy food and farming – fit for the future. At the beginning of the challenge I weighed 220lbs with a target weight of 195lbs. I’m now down to 15 stone or 210lbs so I’m 40% there – yippee!! Most of the loss seems to have come from exercise as I’m sticking to my target of walking at least 10,000 steps a day – so far the record is more than 23,000 steps on a day walking along the coastline at Winchelsea and Rye. Walking is great as it allows you to see what you normally miss, but I do feel a little self-conscious pacing the streets late at night as I try and do the last few hundred steps before my phone rings up the 10,000 mark. Although I need to step up the steps and even dust down the trainers and move from walking to running, I know my attention needs to shift to what I eat. So far my strategy has been to try and hold back, sometimes with limited success, but the calorie counting needs to begin in earnest. Exercising and eating in moderation is important but it is also about consuming the right food and this is where LEAF Marque really comes in. 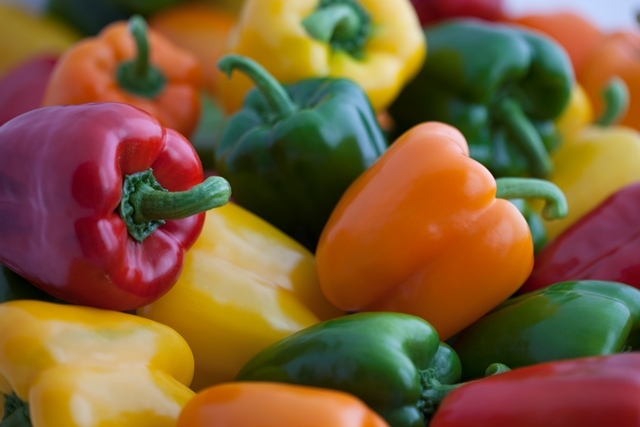 Fresh fruit, vegetables and meat produced sustainably with care for the environment, what could be better? Losing weight is in fashion, but with attention comes confusion. 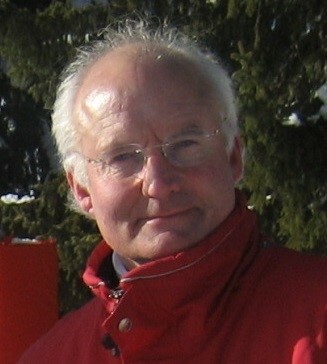 This included the National Obesity Forum’s criticism of the national obesity control strategy, which was then disowned by some of the forum’s own members. The danger is that the confusion turns people off controlling their weight as they try and take in the latest piece of advice. It’s one thing losing the weight, but one of the hardest parts will be keeping it off. For me, the official advice based on the Eatwell Plate seems the best and cutting down on processed sugar in particular seems very sensible. 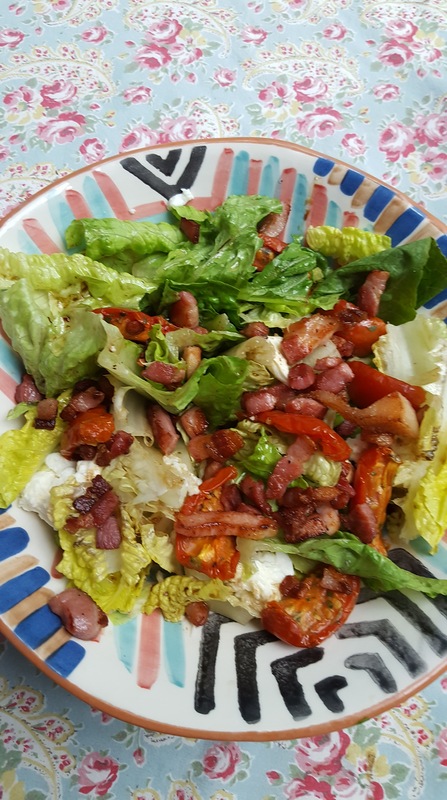 I am also trying to eat as much LEAF Marque produce as possible which is becoming increasingly easier with some 33% of UK produced fruit and vegetables coming from LEAF Marque certified businesses. If anyone has any weight-loss tips that have worked for them, they are gratefully received. If you would like to support my cause for LEAF’s 25th anniversary, please donate to my JustGiving page or you can text the amount you wish to give and ‘LEAF16’ to 70071. 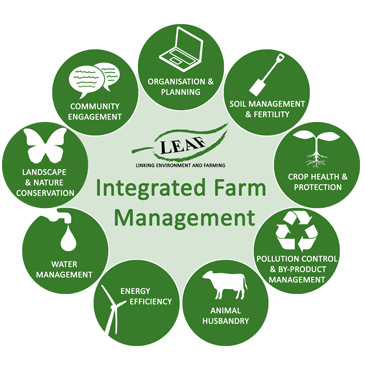 Conservation Agriculture is a practical concept, which when used as part of Integrated Farm Management (IFM) can improve productivity, profits, and food security whilst preserving and benefiting the environment. Anthony Pope, Conservation Agriculture Consultant, has been involved in farming on an international level for more than 40 years and here, he tells us about the benefits of Conservation Agriculture that he has seen first-hand. During my years of involvement in agriculture in many different countries around the world, my overriding concern has been to improve food security and agricultural sustainability. 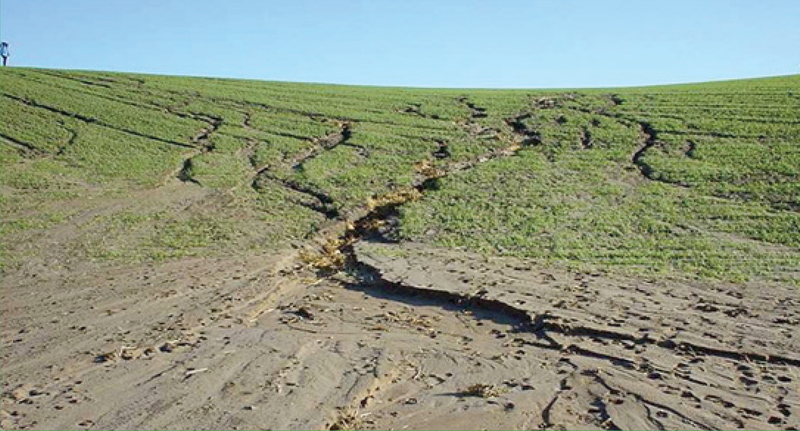 Crop yields have been falling and will continue to do so unless steps are taken to reverse soil erosion, soil degradation and the decline in soil fertility. Indeed, here in the UK, generally low organic matter levels in the soil are being shown up by increased crop stress and wilting during the long dry spells that we have been experiencing, leading to poor crop performance. At the other end of the scale, we are seeing considerably more erosion and soil degradation with the increased intensity of rainfall that we are experiencing. Conservation Agriculture (CA) represents a potential solution to this downward trend – improving soil health and achieving better soil-crop-nutrient-water management, leading to ecologically and economically sustainable agriculture. CA facilitates good agronomy and improves overall land husbandry for rain-fed and irrigated production and is complemented by other practices promoted in LEAF’s Integrated Farm Management, including the use of quality seeds, and integrated pest, nutrient, weed and water management, etc. It opens increased options for integration of production sectors, such as crop-livestock integration and the integration of trees and pastures into agricultural landscapes. 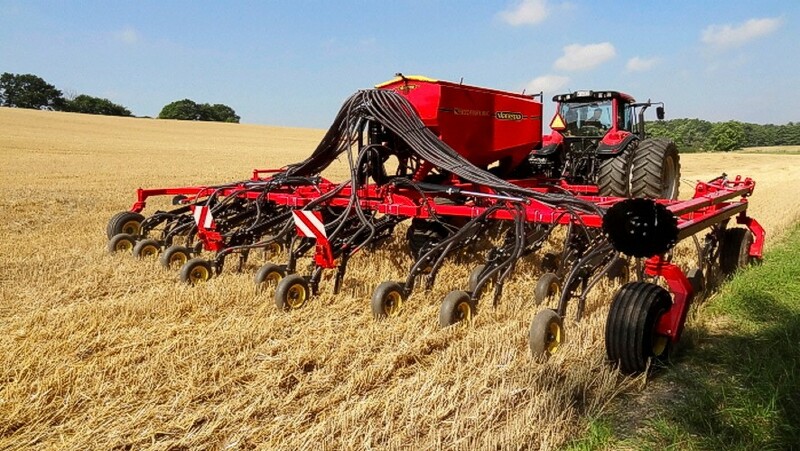 I recently visited a farmer in Lincolnshire who has adopted CA, and employed a no-till regime since 2003 on his three farms totalling 1,250 hectares. He has found that CA crop production costs are around £130/ha compared with £266/ha for conventionally tilled crops. Some of this saving is due to lower fuel bills as diesel consumption has fallen from 92 l/ha to 42 l/ha simply by adopting no-till; in addition, soil organic matter levels have increased as shown by soil organic carbon (SOC) which was 2.1% in 2003, 4.6% in 2007 and is now 6.3%. 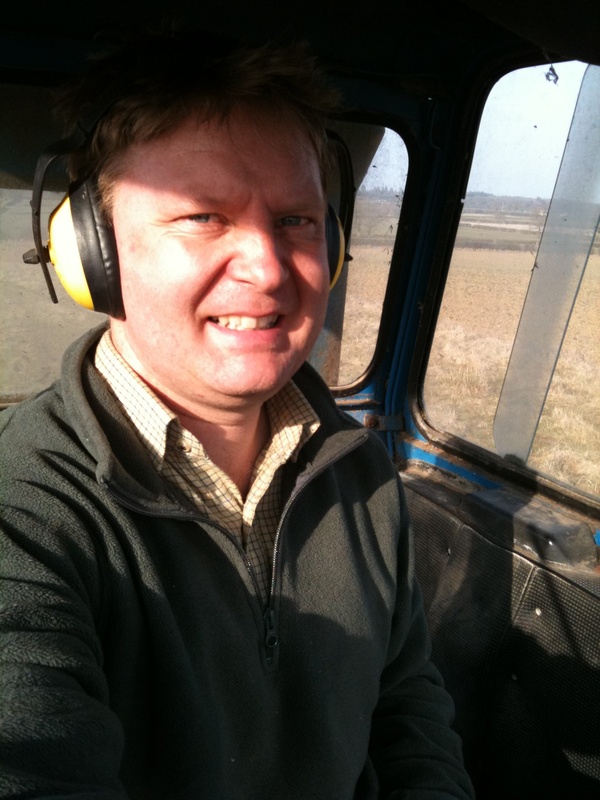 Nick August, who also adopts CA at his 400ha farm in Oxfordshire, and has reduced his crop establishment costs by £70/ha through converting to no-till. The switch from min-till to no-till has reduced diesel use from nearly 18 litres/ha to 4.7 litres/ha, and the time taken to drill has fallen from 54min/ha to 26min/ha. The transition phase for conversion to CA usually takes about two to three years; however, the full benefits of the system often become visible only after five years. Mechanical tillage is replaced by biological tillage (crop roots and soil fauna) and soil fertility (nutrients and water) is essentially managed through no-tillage, soil-cover management, crop rotations and weed management. Some weeds and pests create specific challenges but the health and diversity of soil biota help reduce the incidence of weeds and maintain a reserve of natural predators. Improved soil life and cover has a dramatic effect on birds and other wild animals. I firmly believe that radical changes to farming practices are necessary in this country and elsewhere, to ensure a balanced system with improved soil organic matter and soil biota levels which ultimately enhance the sustainability of soils and increase crop yields. I believe that Conservation Agriculture as part of Integrated Farm Management, by facilitating good agronomy, improved timeliness of operations and reduced variable and fixed costs, is the solution for the future. 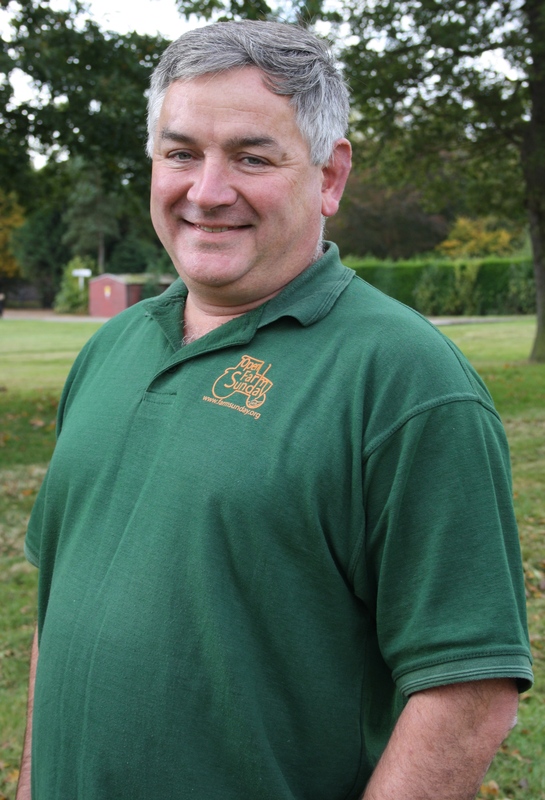 Phil Gorringe is a second generation farmer brought up in Herefordshire. He farms Lower Blakemere Farm in West Herefordshire, a 1200 arable and beef farm. 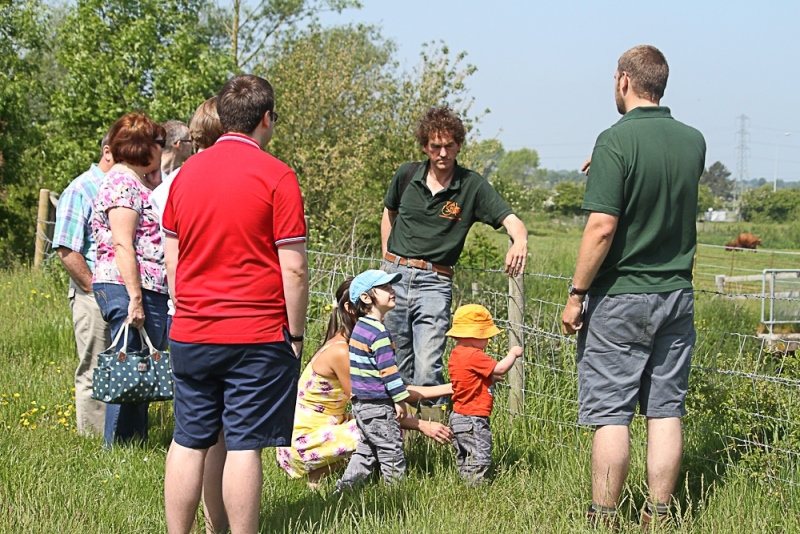 Phil is the West Midlands Open Farm Sunday Co-ordinator and as a member of LEAF, he is an advocate of engaging the public through farm and school visits. He is also involved in promoting farming through social media @FarmrPhil. 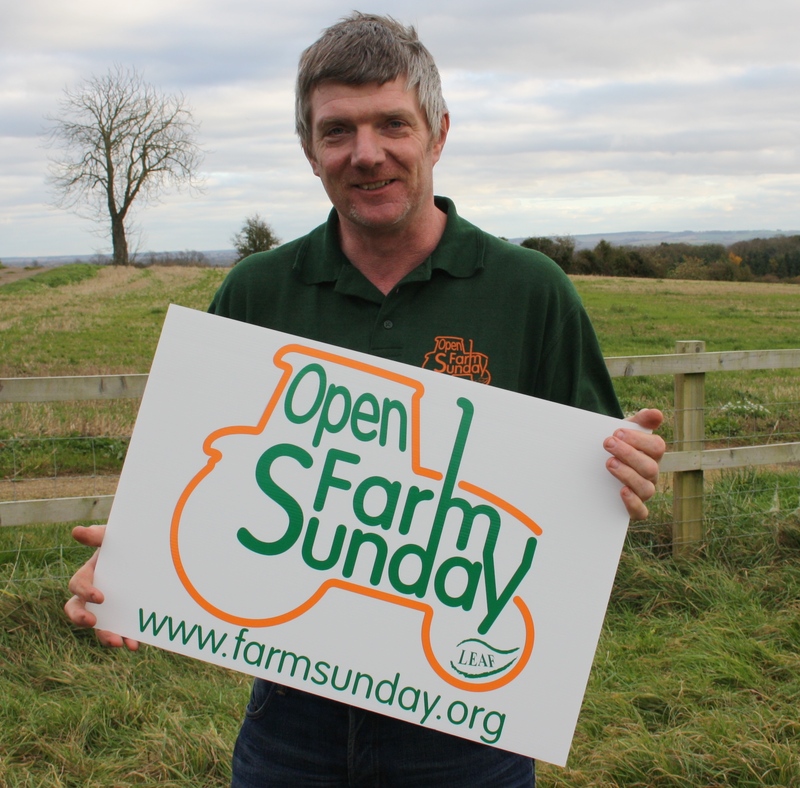 Phil has been involved with Open Farm Sunday since it first started in 2006. Here he shares his suggestions on promoting your event and getting it noticed. In my experience, after health and safety, the promotion of your OFS event is the next most queried topic by host farmers. Before thinking about promoting your day, it is best to start at the end. Decide how many people you would like to visit and then work backwards. For most farmers, the fear is being overrun by visitors so this is an important decision. It will be influenced by factors such as timing (morning events will normally attract fewer visitors), accessibility, facilities, attractions and possible contingency plans in the event of more people arriving than you expected. Having decided on the size of event you want to run, there are a multitude of methods you can use to promote it. For most farms, an attendance of 75 to 150 people is the norm. Promotion for this sort of event will be predominantly local and in my experience is best achieved by your own local networks. There are many possibilities here but for us, our vet, the local farm co-operative and our landlords agent were the best ones from the business. Machinery dealers, auctioneers and contractors are also usually up for contributing. On an individual level, a personal invitation via the local pub, village shop, the school, parish website always work well. If you invite representatives from some of these groups to participate or help on the day, that will encourage them to promote your event themselves. 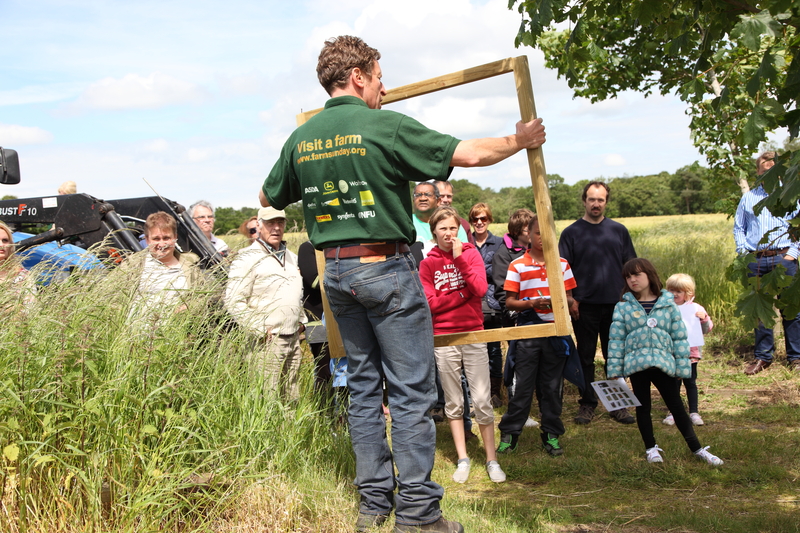 Remember to include groups such as the Scouts, Rotary Club, WI and local conservation groups. Collaboration is the key and the most effective way to promote and run a successful OFS event. Make use of the free resources provided by LEAF to help spread the work – distributing postcards, pinning up posters and displaying the OFS banner will really help to get your event noticed. Order them here. Your event will be publicised nationally via the OFS website so it is important to put the correct information up to describe your event. For example, if you happen to have a TV star lurking on the farm, be careful as this sort of thing can lead to unexpected numbers! Having said this, it is of benefit to other OFS events for each one to promote the day on a broader stage. Therefore, it is usually quite easy to get media coverage. If you have someone who is good on the radio, contact your local station and get an interview in the week leading up to Open Farm Sunday. Send a press release (you can download a template here and fill in your own details), preferably with a picture to your local paper. Make it concise and interesting and they will be only too pleased to print it. There’s lots of good advice on working with the media in the Host Farmer Handbook, sent free to all OFS host farmers when they register. The subject of social media always comes up at some point. I am happy to embrace it with caution and we use Facebook and Twitter. It is conceivable that if you unwittingly post something that is far more of a draw than you imagined, you could end up with more people than you bargained for. However, in my experience this has never happened, but consider what you post before clicking ‘post’. Also, it is always good to use photos – a picture is worth a thousand words. 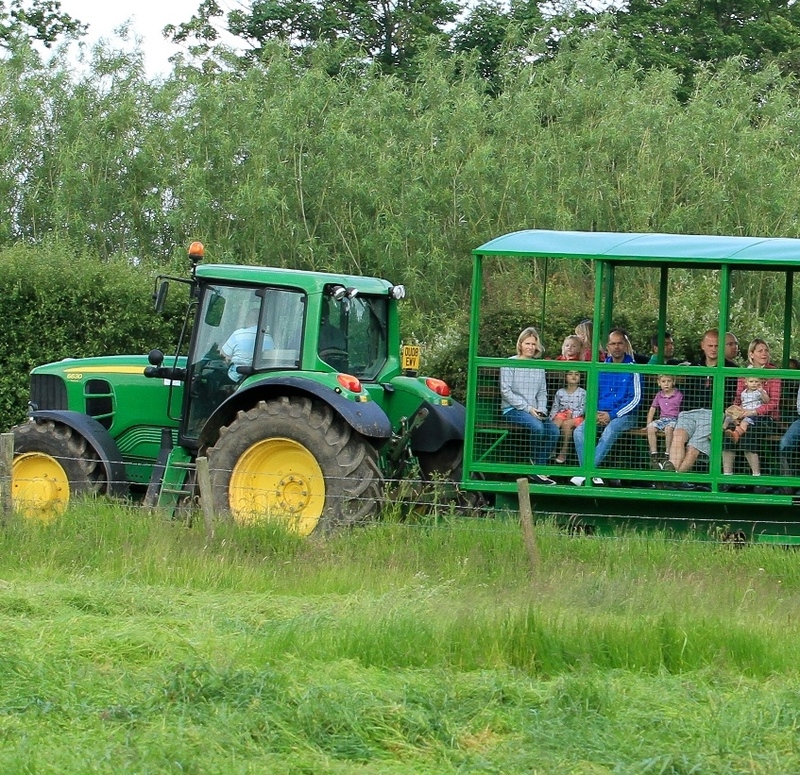 Finally, it can be useful to try and get an idea of how many are intending to visit and one way to achieve this is to invite them to book in advance for a particular activity you may be running such as tractor and trailer rides. The number who actually book will not reflect the actual attendance on the day, but it does give you an indication of the effectiveness of your promotion. 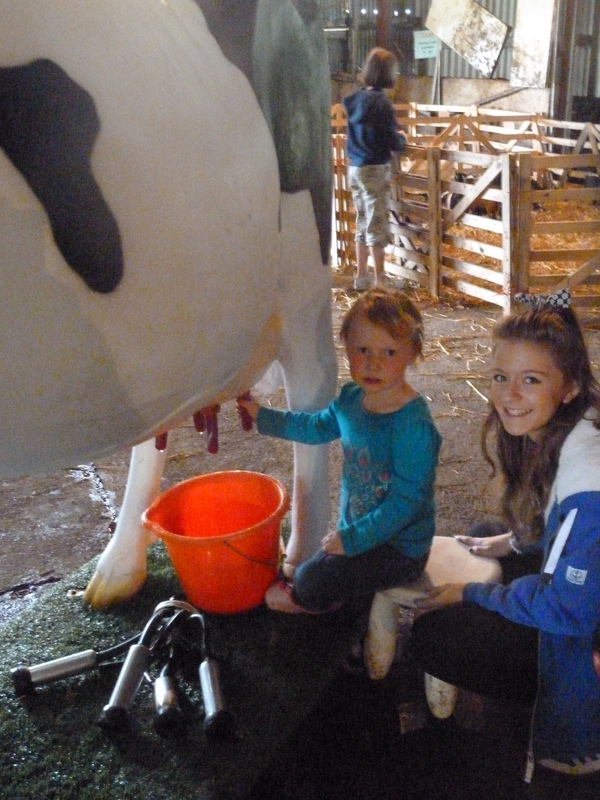 In summary, think about what would engage you when promoting your event – and address any concerns you may have and you will enjoy a stress free day taking part in the largest national event of public access to our farms. Engaging the public with food and farming is one of the key building blocks of sustainable farming. 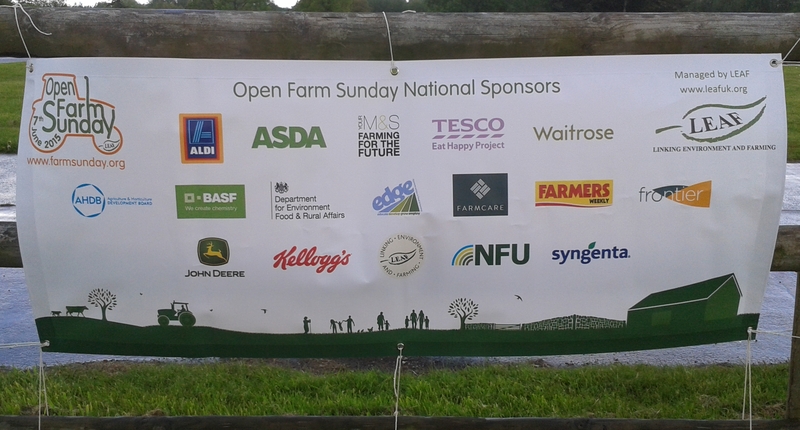 It’s why we have organised Open Farm Sunday for the last 8 years. 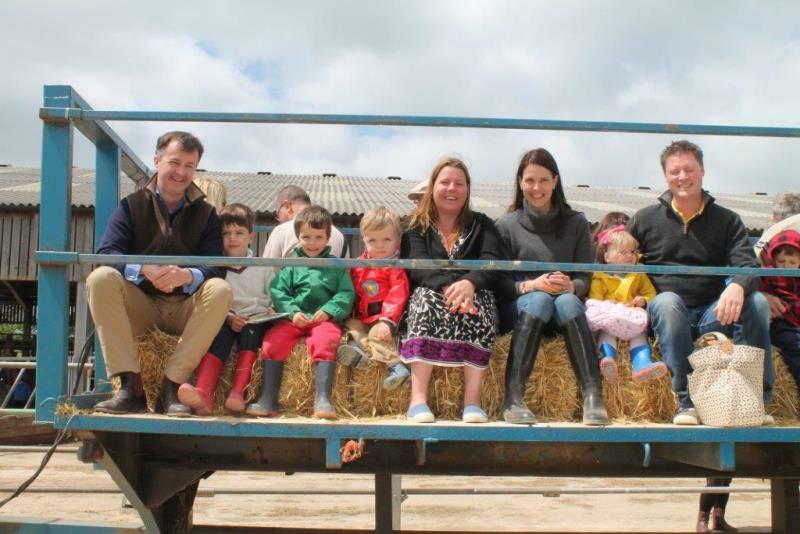 Over 365 farms all over the UK opened their gates for this year’s Open Farm Sunday (9th June) and initial estimates indicate that they welcomed over 200, 000 people. 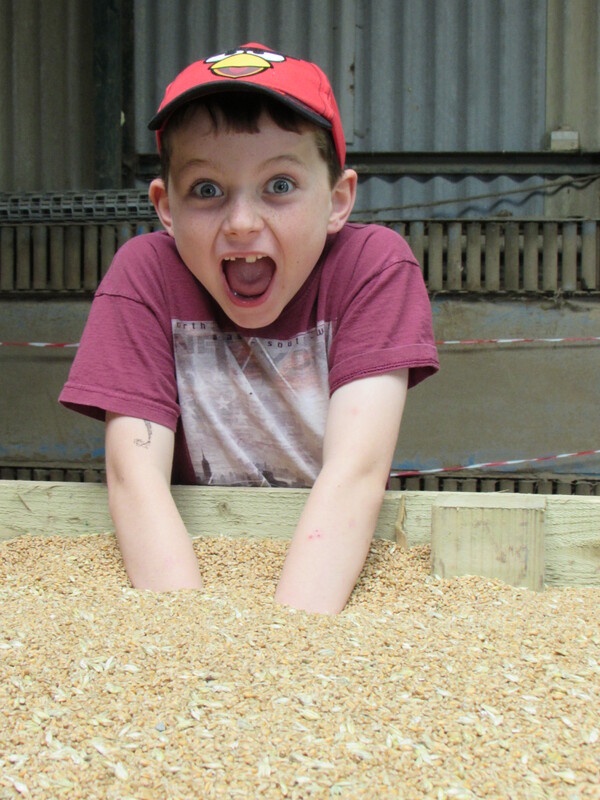 We’re overwhelmed each year by the number of visitors that experience farming on this one day, and it’s all down to the farmers who take part – well done to all of them! The public’s appetite for supporting British farmers and eating home grown food has never been higher. A recent survey carried out by grocery think-tank, IGD, shows that shoppers are nearly 150% more likely to buy British food than they were six years ago, with younger shoppers and families driving this growth. From the number of people getting out onto farms last Sunday, it seems they not only want to buy British, they want to learn more about how it’s grown. 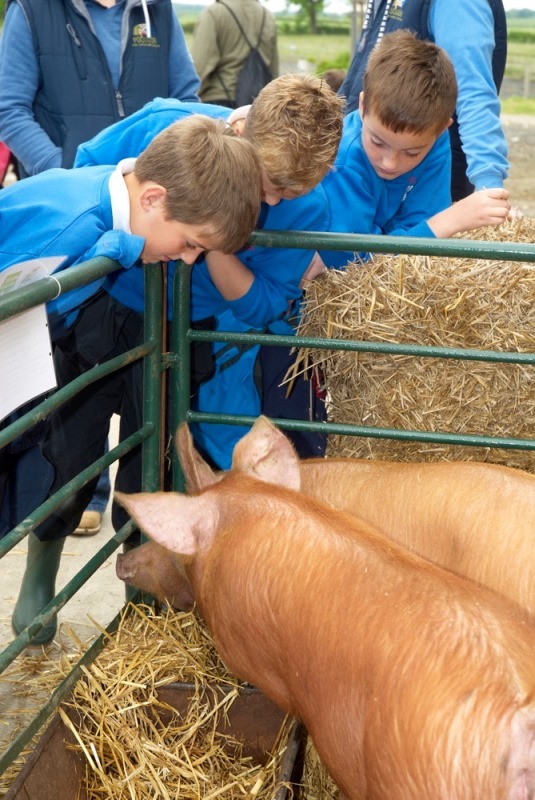 Enriching visits to farms have a huge role to play in contributing to our understanding of food, how it’s produced and its links with nature. Farm visits demand our engagement and reflection. 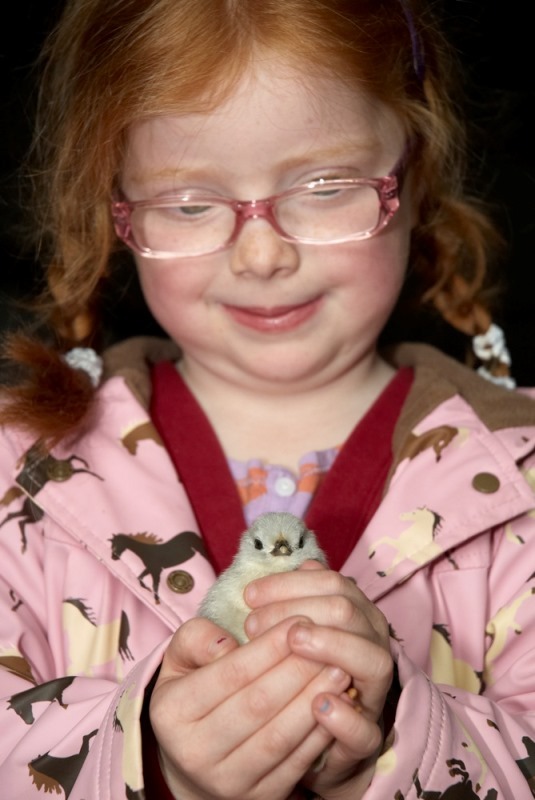 They are a valuable trigger for wider thinking about sustainable farming, healthy food choices and our place in the natural world, and it seems they are becoming ever more popular. Just ahead of Open Farm Sunday, Asda surveyed over a thousand of its shoppers. 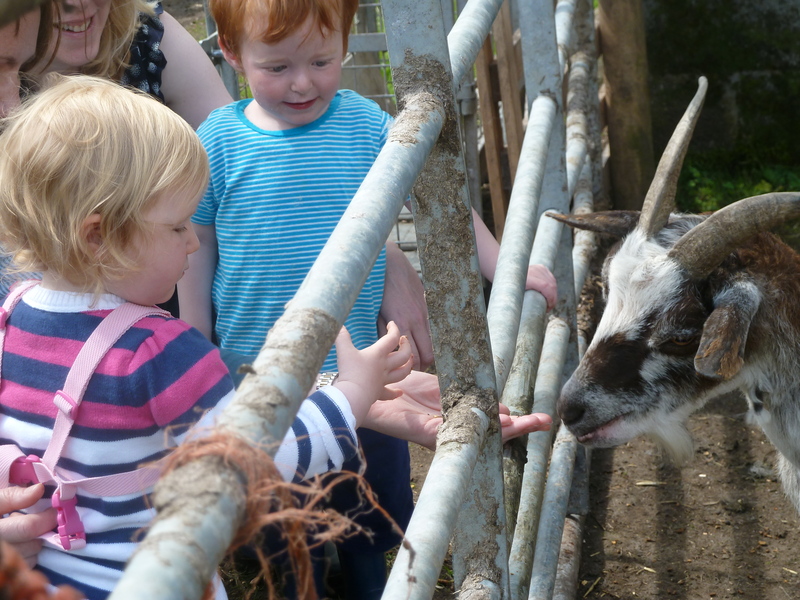 43% said that it was important to visit farms to support British farmers, with many preferring to visit a farm than outings to zoos, safari parks, funfairs and even theme parks. This interest in food provenance is a really encouraging trend. The challenge now is to turn this interest into action. If, after their Open Farm Sunday visit, just a few people start to change their buying patterns to more sustainably produced food, then it will have done its job. It’s not only the public who are keen to reach out to farmers. It’s working the other way too, with many farmers using social media tools to connect with their customers. In a small survey of our LEAF members, three quarters of farmers said the web had helped them get closer to their customers and many now use Twitter and Facebook as their main means of communication. 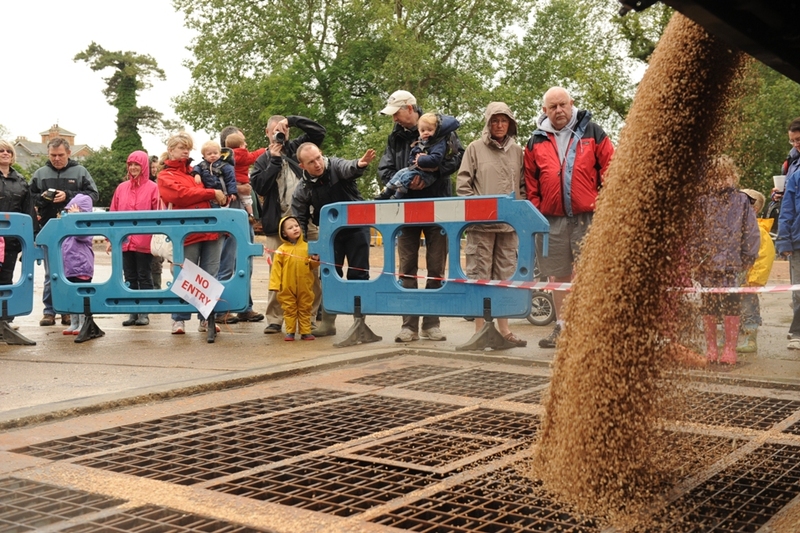 So, what does the record number of people visiting farms last Sunday tell us? It tells us that more and more people are interested in their food, they want to learn more about how it’s grown, talk to the farmers out in the field, discover more about the wonderful countryside around them and enjoy the space and freedom that it offers. In essence, they want to engage. Our job at LEAF is to harness this enthusiasm. 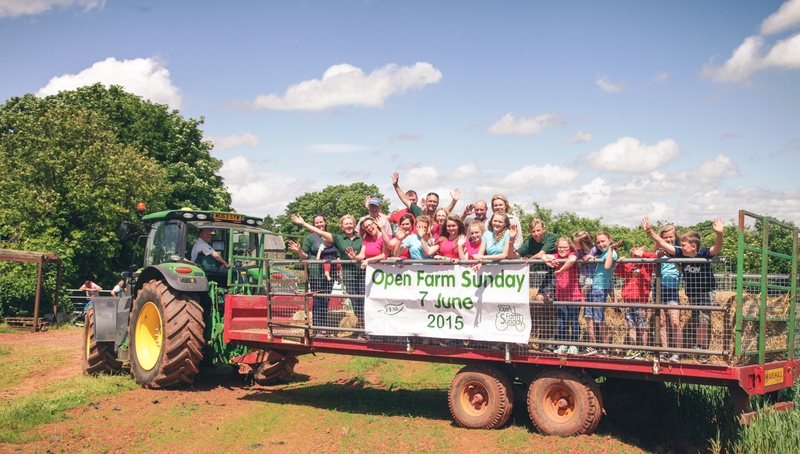 To inspire people to go on being interested throughout the year, not just on Open Farm Sunday. To question where their food comes from, how it’s been grown and to turn this knowledge into meaningful behavioural change. To deepen understanding of where food comes from and how farming contributes to the landscape around us. We don’t just want to see them making healthy food choices, we want to see sustainable food choices. The Open Farm Sunday photography competition is in full swing and we’ve received more entries than ever before already – you can enter here. Head over to the Open Farm Sunday Pinterest board to see a whole host of images we collected over the last few weeks. 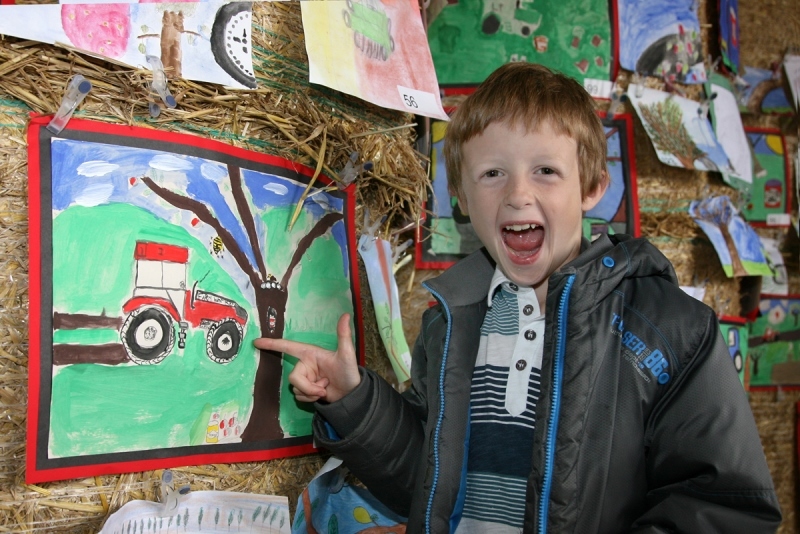 Finally, next year’s Open Farm Sunday will take place on the 8th June 2014 so put the date in your diary now! Tell us a bit more about Westlands, what is the secret of your success? We started off in the 1960’s as a traditional salad and leaf growing business and have steadily grown since then. There’s always been a real pioneering spirit running through the company. Our approach has always been to keep looking ahead, with an eye open for what’s around the corner and developing great tasting products that we all feel excited about. You pride yourselves in your dedication to traceability and quality. How do you achieve this? It’s all about attention to detail – we call it the Westlands way. All our products are grown with innovation and inspiration, with amazing tastes and aromas, always with the customer in mind. We’ve invested heavily in the latest technology and have got some state of the art equipment here, plus a fantastic team to look after our products. But the key for us is that we’ve never lost sight of what’s important – good, old fashioned horticultural know-how combined with a passion for growing. Environmental considerations lie at the very heart of the business, from our water and energy use, selecting varieties with natural disease resistance right through to the way we manage our waste. Joining LEAF and particularly, becoming LEAF Marque certified was the next logical step. It gives us independent endorsement and demonstrates to our customers that we are proud of what we grow and how we grow it. More and more organisations are supporting LEAF Marque as well so consumer and user recognition is definitely on the increase. Provenance is an integral part of Westlands, what role does LEAF play in helping you to achieve this? Growing sustainably here in the UK is what Westlands is all about. Being able to put the LEAF Marque logo on our packs to demonstrate the links of where and how we farm sends out a very clear message about our environmental commitment. 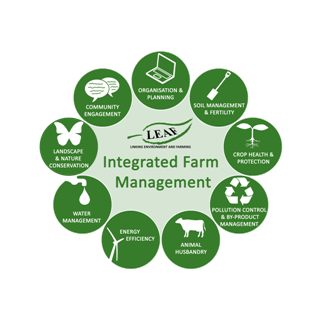 How do the principles of Integrated Farm Management fit in with Westland’s overall ethos? The principles of IFM fit as well with the horticultural world as they do in a more traditional farm setting. Looking at the whole enterprise and taking into account the complex interactions between each element of the enterprise is the cornerstone of IFM. Your commitment to more sustainable horticulture is clear, how do you see your partnership with LEAF developing in the future? We’re really excited about the future and we’ll continue to innovate and hopefully inspire. We definitely see the power of social media in promoting what we do to a much wider audience. Being part of LEAF gives us an ideal platform to engage with many more customers and get them enthusing about micro leaves, edible flowers, sea vegetables and all things green! Social media is certainly on the up. We’ve noticed more and more farmers signing up to sites like twitter, what kind of benefits do you see from it? Twitter is a fantastic medium for us to communicate directly with our end customers and chefs, in turn this allows us to gain valuable feedback instantly. This feedback is tailored into producing our collections based upon what customers would love to see and use. We think social media is a good way to engage your community alongside other activities, which is a key part of IFM. Do you have any top tips for a newcomer to the social media world? Social media is there to engage with people. It is a great way to share ideas, gain knowledge and promote activities with a diverse group of people including suppliers and key businesses such as LEAF and raises awareness of the positive work the business does. 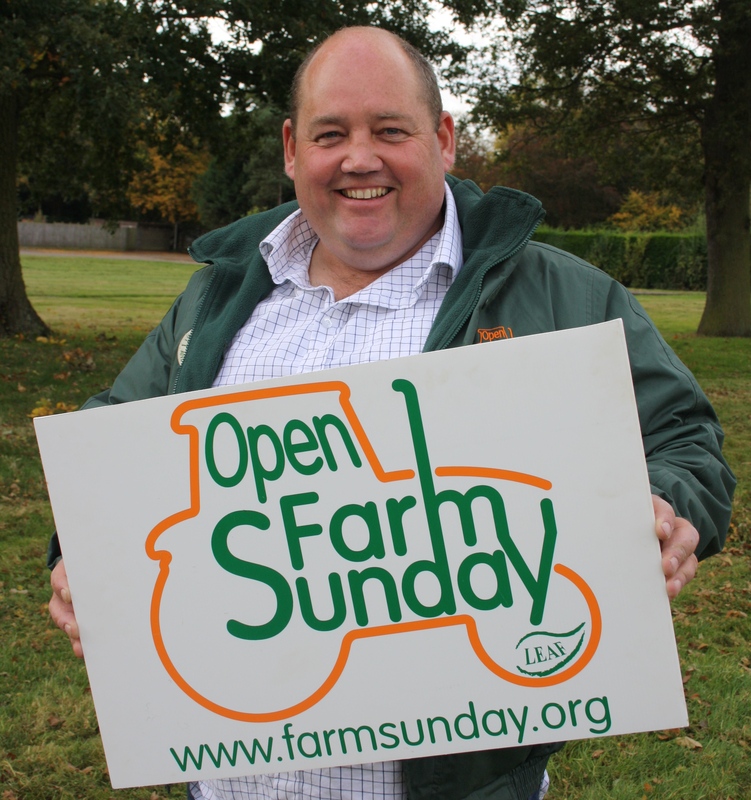 You only have to see how LEAF utilises social media within its own very popular Open Farm Sunday event to gain an understanding of how useful and informative social media is. The key things that we have learnt are to, be yourself, be honest but most of all help others and definitely do not broadcast – engage with the people who have taken the time to talk to you. And obviously us too on Twitter and Facebook (apologies for the shameless plug!). With Wimbledon only days away now, we thought you would like to hear a little about how the strawberries for the event are produced. 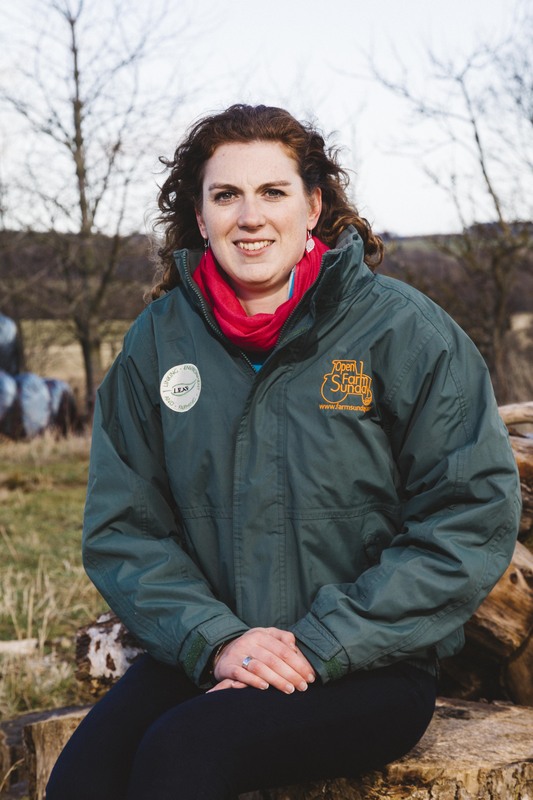 So here, we introduce Hugh Lowe Farms and Managing Director, Marion Regan. Enjoy! Hugh Lowe Farms Ltd is a family owned farming company, established over 100 years ago. They are one of the largest fruit businesses in the UK, supplying many of the major supermarkets and have supplied strawberries for the Wimbledon tennis championships for more than 20 years. Hugh Lowe Farms have been members of LEAF for over twelve years and are LEAF Marque certified. We hear from Managing Director, Marion Regan about business, berries and bugs! Where did it all begin for Hugh Lowe farms? My great grandparents began growing strawberries here in 1893 and the family has been producing them here ever since. Your pride yourselves in growing top quality fruit with care for the environment, how does LEAF fit into your overall business philosophy? We try to farm efficiently and responsibly. While quality is our focus, our natural environment is equally important to us – not least because we live and work here. All your fruit is certified to LEAF Marque standards – what does this mean for your customers? People all over the country trust Kent berries to be the best and the discipline of the LEAF Marque means this promise of quality is met. A large proportion of your fruit is grown under polytunnels, why is this? Not only is the crop protected from rain damage, but also from rots and moulds. In addition, the season can be extended and we can supply reliable volumes to the market every day from April until November. Looking after the landscape and biodiversity means striking a balance between soft fruit grown under tunnels, arable fields resting in between soft fruit crops and land managed for wildlife. How do you get the balance right? We have been doing this for over 100 years and have found it helpful to take a long term view – there is no benefit to exhausting the land nor removing the habitat for the many beneficial insects and other wildlife which live here too. You’ve supplied strawberries for FMC the official caterers to Wimbledon for the last 20 years – why do the British love strawberries so much and what makes the perfect strawberry? Luckily the Wimbledon Championships come at the traditional peak of the strawberry season, creating a long and happy association. Strawberries sum up the summer – and the perfect berry is sun-warmed, straight from the plant – we try and deliver the freshest fruit so people can be as close as possible to that experience!